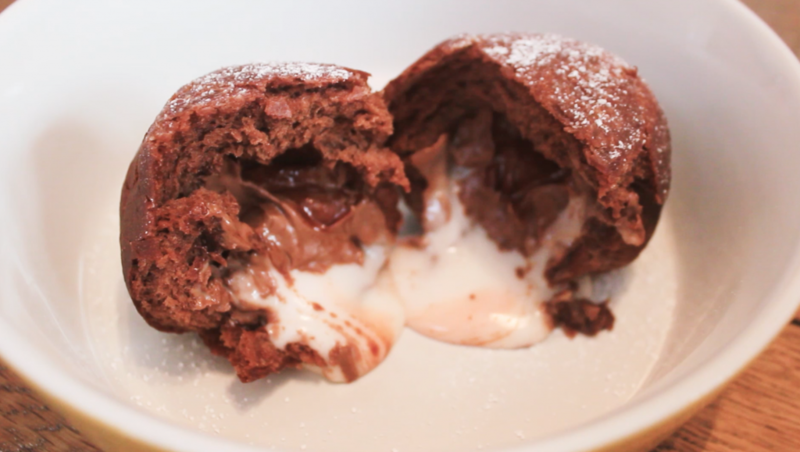 We made a chocolate yeasted doughnut dough and wrapped it around creme eggs and deep fried them, it was glorious. 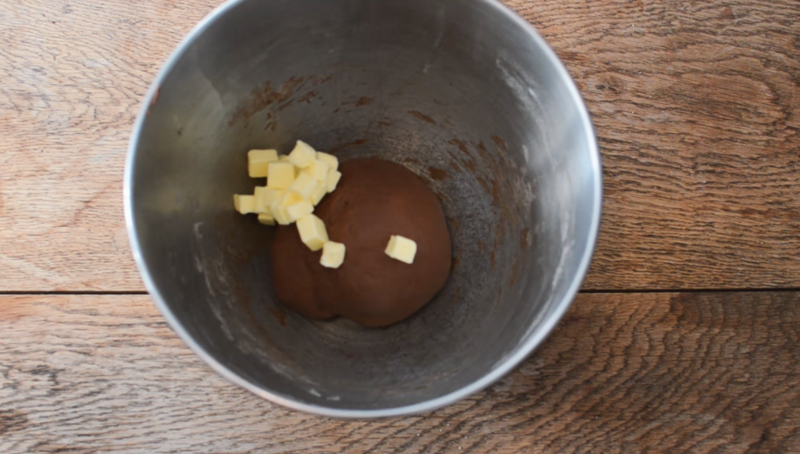 Place all the ingredients except the butter and milk in a the bowl of your stand mixer (or just a large bowl). 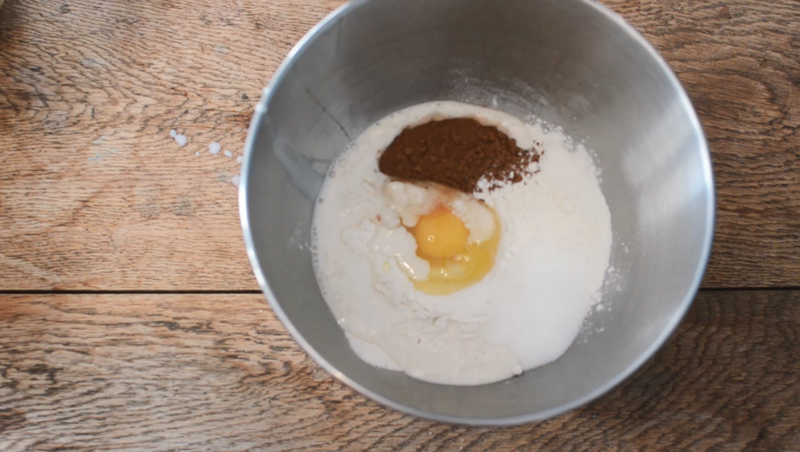 Slowly pour in the milk a little at a time as you start mixing and the dough comes together, using the dough hook on your mixer or your hands. Mix for about 3-4 minutes, and then add in the butter and mix for a further 5-10 minutes until your dough is soft and smooth. Allow to rise at room temperature until doubled in size. 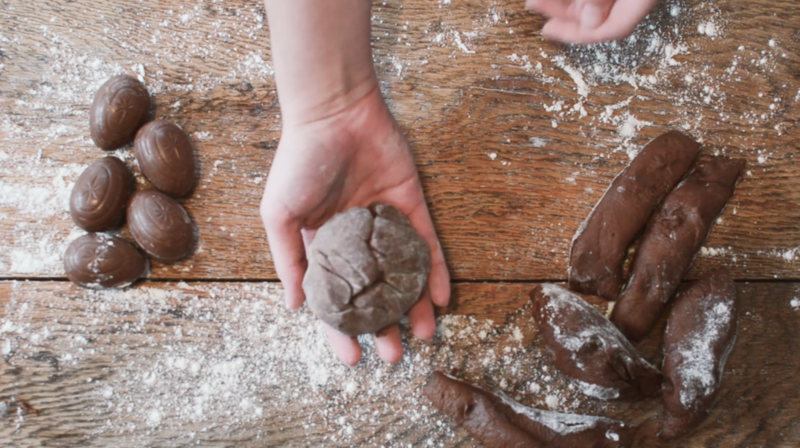 Knock back the dough and tip it out onto a floured surface, cut into 6 pieces. 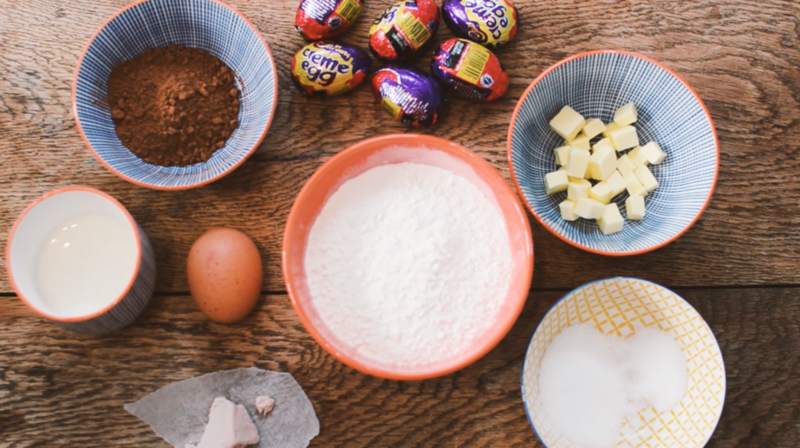 Wrap each piece of dough around a creme egg and seal the seam as best you can, squeezing the dough together with your fingers. 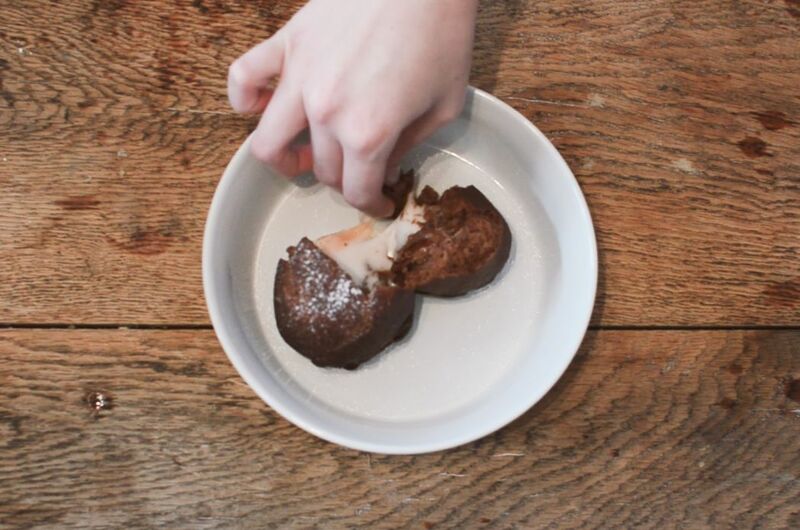 Place all your doughnuts on a baking tray and cover with cling film. Leave to prove for about 30 mins. In a pan or deep fat fryer heat oil to about 180C. If you don't have a thermometer you can test the heat of your oil by dropping in a little cube of bread, if it goes golden brown then you're ready to fry! 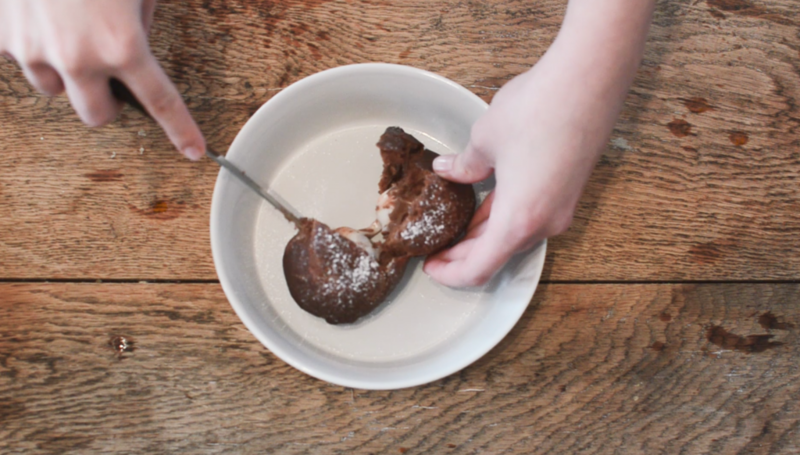 Place 1 or 2 doughnuts into your oil at a time, depending on the size of your pan or fryer. And cook for a minute or so on each side. Once nicely cooked and crispy lift out of the oil and place on a plate covered with a couple sheets of kitchen roll. 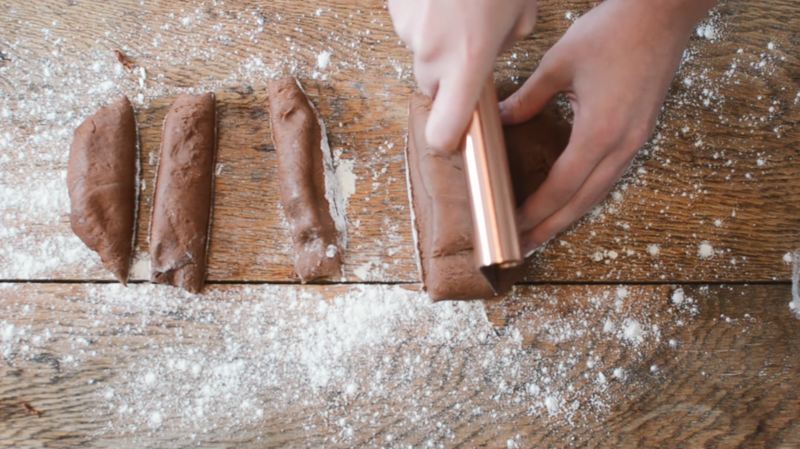 Dust with icing sugar, roll in caster sugar or you could make a simple icing to drizzle over the top, it's really up to you! 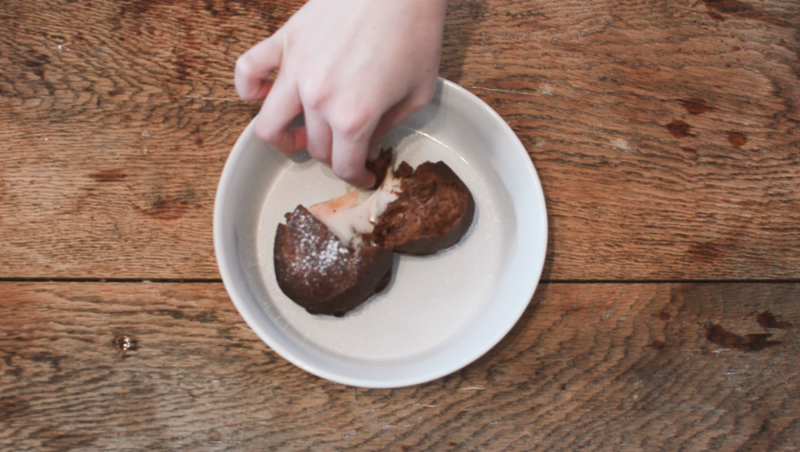 We also decided to make a video for this bake as we just wanted to share its goodness with you guys! We used fresh yeast in ours, it’s pretty easy to get your hands on it, we just got ours from the bakery section in Sainsburys, but a sachet of dried yeast will work just the same! You can also put your dough in the fridge to slow down the proving process, this way you don’t have to fry your doughnuts straight away.